Whether you just can't wait to get outdoors in this frosty weather, or you'd rather stay inside where it's warm, we've got you covered! Check out the following outdoor and indoor ideas for winter activities in the Albany area, along with winter sport you must try. 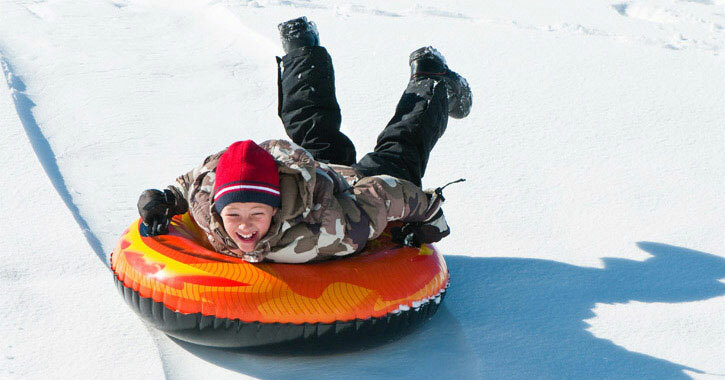 Recapture the joy of childhood or make some great family memories for your own child by taking them tubing or sledding! You can always head to a local hill or recreation center. You can find great hills at the Capital Hills Golf Course in Albany or at the Sand Creek Middle School in Colonie, and Hunter Mountain just south of Albany has a huge snow tubing park! Embark on a scenic two-hour drive north for endless winter fun in Lake Placid! Whiteface Mountain offers ice skating, bobsled rides, figure skating, the Olympic Center, Olympic Jumping Complex, Olympic Museum, and the Olympic Sports Complex. Before heading back, peruse the quaint Adirondack village for excellent shopping and dining. Drive just an hour north of Albany to Lake George and the southern Adirondacks for gorgeous scenery and plenty of winter attractions. There's the popular annual Winter Carnival in February in addition to other events. Purchase passes and enjoy the large (and warm!) indoor water park at Six Flags Great Escape Lodge. Explore Old Forge for winter bird watching, nordic and alpine skiing, some of the best snowmobiling around, as well as ice skating and ice fishing on ten miles of frozen lakes. Head over to Schenectady, just a short drive from Albany, and enjoy winter fun all day at the many museums, historic sites, neighborhoods, theaters, and more found in this historic city. Ever been to the theater? Now might be a time to enjoy an awesome production! Check out the The Palace Theatre in Albany or Proctors in historic Schenectady.